Notes: I nipped out this morning before the rain started in earnest. 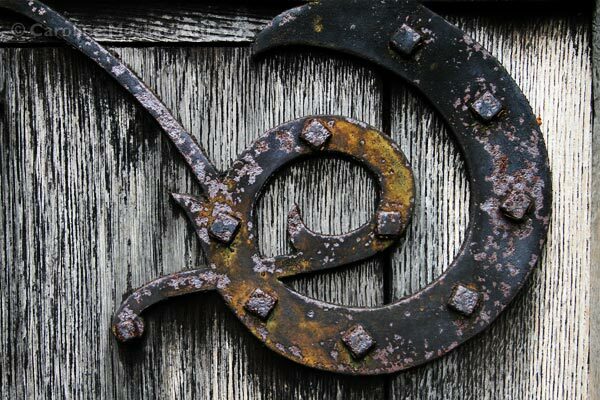 This is a rather nice piece of ironwork on a church door in Highwood. I loved the weathering and patina. Although it’s not an image of the complete door, I thought it would make a good find for Treasure Hunt Theme #27: Doorways.